St George’s day will be upon us very soon (April the 23rd). 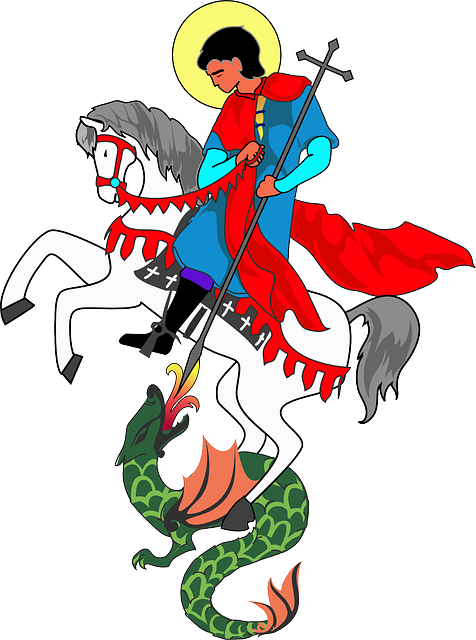 Children all love the story of St George and the Dragon; but, there is a lot more to this well-known saint than that! Project Britain (Primary Homework Help) has a set of pages about him. There is information about his life, facts, stories, flag and more! Cbeebies has a set of videos, a quiz, poems and a lot more on offer. Activity Village has crafts, puzzles, worksheets and pictures to colour. Twinkl has some free resources; but, if you do not already subscribe, make sure they are free! The British Council has a great cartoon story of George and the Dragon. There is also a simple online comprehension exercise with this cartoon – it is designed for English language learners but is just as good for younger children. iChild has lots of printable resources. They are not all are free, but many are. They include acrostics, a maze, handwriting practice sheets, a craft card and more. I am not convinced that anyone would want to download and photocopy masses of these but there are some nice ideas, which may inspire, to explore further. Persil, though and unlikely source, has craft ideas for the day.